There are very few places in the Himalayas which can compare with the beauty of Kausani. 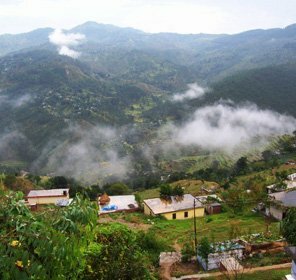 As the entire Kumaon Hills have been known for their idyllic beauty with the huge mountains silhouetted against the sky. Kausani was originally called Valna. Kausani offers the magic of the deep pine forests and the majestic mountains. Kausani the birthplace of the famed poet Sumitra Nandan Pant is often referred to as the 'Switzerland of India. Situated among mountains and trees, the peaks Trishul and Nanda Devi are clearly visible from here. In 1929, Mahatma Gandhi spent 12 days here and brought his thoughts out in his book called Anasakti Yoga. The place where he stayed is called the Anasakti Ashram. This Ashram was earlier the guest house in a tea estate. Kausani is ideal to visit with the family. Because of its beauty, tourists come here all through the year. From morning to evening, from valleys to peaks, thousands of different colours can be seen here. 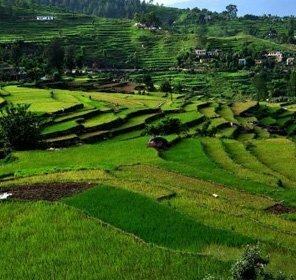 Further ahead from the hill station of Kausani you may plan for excursions to various other places of tourist interest. 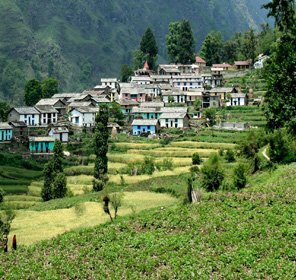 There are the hill Station of Nainital, Almora and Ranikhet that are easily accessible from Kausani, offer wondrous vistas of the Himalayas and make excellent excursion options. A little away from the Kaushani bus stand is a museum named after the Hindi poet Sumitranandan Pant. The house which has the museum is the poet's house of his childhood days. 9050 feet above sea level, this hill station is 20 kms from Kaushani. Here there is a temple of Shiva from where one can view many valleys. Around Pinakeshwar are other places like Old Pinakeshwar, Gopalkot, Huria etc. 17 kms from Kaushani, the most important historical place in Uttarakhand is Baijnath which is situated on the banks of the Gomti river. The Baijnath temple here was built thousands of years ago and can still be admired for its carvings and sculptures. For the more adventurous trekkers these two glaciers are ideal. Both these glaciers are located in the Pindari Glacier area in different spots. 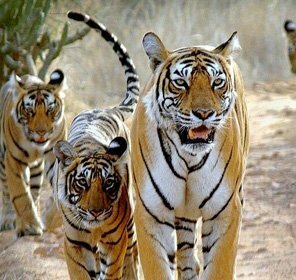 It is advisable to visit these places with an experienced guide and proper equipment. 25 kms from Bageshwar passing through Thapkot, another 16 kms. later the last bus stop is Loharkhet. From here is a 35 km trek to the famous Pindari glacier. To see this majestic glacier tourists camp on the way to reach the Zero Point (3000 mts). 15 kms away from Kaushani, this famous Shiva temple was built by King Somchand of the Chand Dynasty. In March every year a festival is held here. Chaukori is 75 kms away from Kaushani and is well known for the view it gives of the Himalayan peaks. A person viewing the Himalayas from here feels like he can touch them. For an overnight stay there is a tourist bungalow. The hill resort of Kausani is located in the Kumaon Region of Uttarakhand. Kausani stands high at an altitude of 1890 m above sea level. 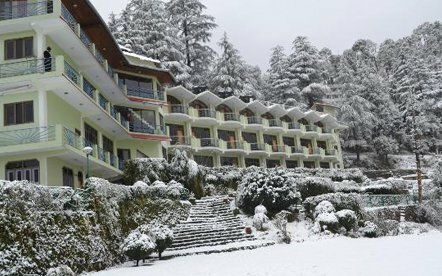 Kausani experiences snowfall during the months of December and January, thus these two months may be avoided. The hill resort of Kausani is a retreat in the summer months and may be visited during April-June and September-November. The airport nearest to Kausani is at Pantnagar, at a distance180 km. The railway station at Kathgodam is the nearest railhead to Kausani at a distance of 142 km and caters to the rail transport to Kausani. 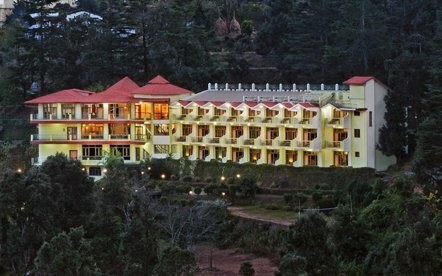 Kausani is well connected with the other hill resorts like Almora, Ranikhet, Pithoragarh, Gwaldam and Nainital through road routes.